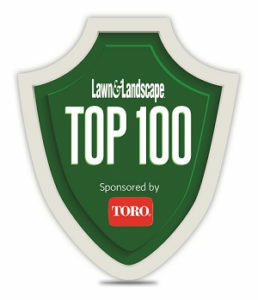 Since 1997, customers have counted on Kline Bros. for expert commercial landscaping and residential lawn care services in New Jersey. Kline Bros. takes the worry out of lawn care and maintenance, so you can focus on enjoying your home. We offer flexible contracts and fast services to give you the landscaping you need, when you need it. Our convenient Jersey Shore landscaping services are offered in Long Beach Island (LBI), Surf City, Ship Bottom and the surrounding areas. From commercial snow and ice removal to general landscape maintenance, Kline Bros. provides the services you need to care for your commercial property all year long. Working with one provider for all your commercial landscaping needs saves you time, hassle and money. We even service your multiple sites! Professionalism: For over 20 years, Kline Bros. has built a reputation based on excellent customer service and quality landscaping work. Cost Savings: Working with one provider for all your landscaping needs helps you to get the best possible service at the lowest possible price. Hassle-Free Services: Our job is simple; to make your life easier with reliable, professional landscaping and lawn care services. You can count on us to get the job done quickly and correctly.